The name "Donacarney " is derived from the Irish "Domhnach Cearnaigh" meaning the Church of Cearnach. St.Cearnach was a native of either Wales or Cornwall. He probably arrived in Ireland with St.Patrick, or soon afterwards, and it is believed that he built the first church in this part of East Meath. Donacarney School in the red brick building at Donacarney Cross was opened for pupils in March 1873. The Parish Annals of St. Mary’s tell us "In September 1872 the foundation stone in Donacarney School was laid. Miss Heeney of Mornington contributed £100. The work was rapidly completed and in March 1873 the schools were opened for the pupils. "In 1928 the school got a new paling built around it and a new cloakroom, and in 1929 it acquired a playground. In 1932 new sanitary arrangemens were made for the school – a new water pump,septic tank, 4 new toilets and a water tank. 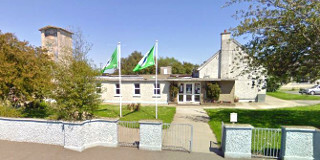 The school catered for a wide area: Donacarney, Mornington, Bettystown, Laytown, Minnistown and Whitecross. By 1963 the school building was proving too small for the increased attendance. 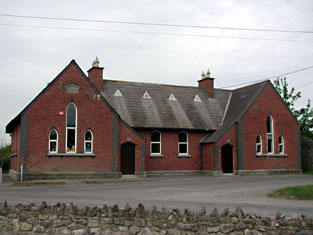 In 1986 the school was no longer part of St.Mary’s Parish, as a new Parish of Mornington/Laytown was established.In recent years there has been a significant increase in the school-going population of the area and it has been necessary to extend out to Portacabins to accommodate the number of pupils. The roar of the Celtic tiger had brought a massive amount of residential development to East Meath in the 1990’s. 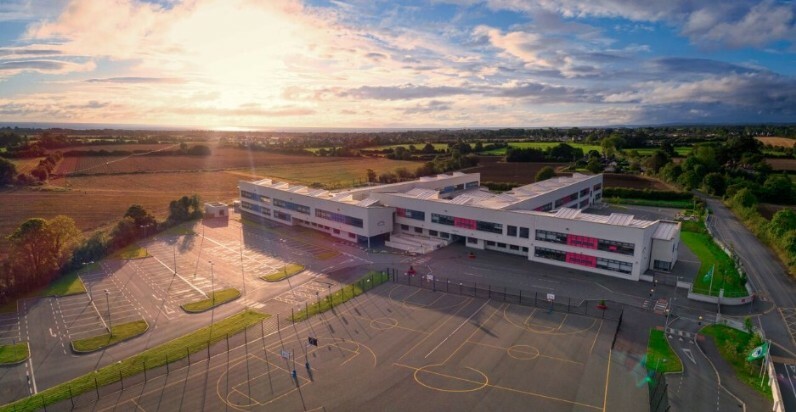 The schools in Donacarney reflected this when the schools expanded at a ferocious pace, and the little 1960’s rural school, which had twice extended soon had 20 prefab classrooms sprawling across all of the available yard and green space. With the full support of the local church and diocese, the parish began planning for a brand new building, along with a massive fundraising programme. This fundraising enabled the parish to purchase a site adjacent to the old school. More delays followed, as the design team now had to jump through Department of Education hoops. This proved a frustrating and dispiriting process involving many trips both virtual and real to Tullamore and the Department’s building unit. Finally, in 2012 the school community were thrilled to hear that the new building had been approved. The following two years in Donacarney had been exciting ones, especially for all the children there. They enjoyed all the action as the new schools mushroomed up beyond their little playground. And, just before Summer 2014, both schools decamped and moved into the new premises. And the builders weren’t done. Now they had the Job of demolishing the old school and laying out the new car park. And meanwhile, the children, staff and school community adjusted to life in state of the art classrooms. Both schools have adjusted at an astonishing rate to their new environments. Enrolments have now exceeded 800. We have deployed new staff in our special needs unit Cuan na Réaltai. The school has taken this chance to upgrade their e-learning, their literacy improvement programmes, their art displays and to start afresh on their wildlife garden development. It has been quite a journey. And one demanding a lot of collaboration, meetings, reflection and change amid all the interested parties. And so, on Friday 5th December 2015, Bishop Michael Smith of Meath cut the ribbon. It was a very momentous occasion and a very special day, one that had been dreamt of and worked towards for many years. Two hundred people witnessed the opening first hand while video link televised the occasion to everyone in their classrooms. All the local community were in attendance. All bore witness to the glorious occasion. And Réalt na Mara will gleam ever brighter on the East Meath firmament.